I miss this thread. I'll post an updated look for legend. Yeah, still no luck it won't convert anything. Maybe just corrupted files. Anyway to still make this work? I'll just hold my breathe for now. you got it! your darn barrier doesnt mean anything good sir ! Have you done road to ep6 for your free atra? this is getting alittle silly huh? Btw, i hope you're doing well. 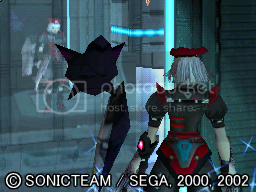 Any chance you could show off your PSO and PSU characters somehow? Greetings. I am not sure who to go to for a name change. I respectfully request a name change to "SolarSamurai". If that is too long, "Solgamesh" will do nicely. Ryna, are you aware of the Spambots running rampant on the forums? I tried to recover my old account through my email but I never got an email(no, it's not in any folder like spam). It has a record of my email address because I couldn't create a new account with that email. Can you help me with that? I tried to submit a help request through the site but I haven't heard anything back. Hi Ryna, this is Sord, I was a poster back in FKL for quite awhile. Was wondering if account retrieval would be some kind of possibility? Not sure what you'd want as proof it's me. I once utterly destroyed a thread with hourglass quotes and wackos spammed into it, and dubbed it the "wacko cannon." You gave me a warning for those shenanigans I believe. Gurarara........ How're things going? Still playing PSO2? Oh... Alright. I can't make any connection, I was just confused cause first it was being considered but then it pulled a Houdini. Anyway, thank you for the speedy response. Thank you Ryna. It's good to see you're still around! You have no idea!! Are you and Ryno related? Good, things have been great. Keeping up with PSO2 and keeping in touch with Rizen and the gang. Sadly I won't be able to join anytime soon until I can afford to get a new PC. Still gaming on my PS3 when I have the time between work and spending time with my wife and son.